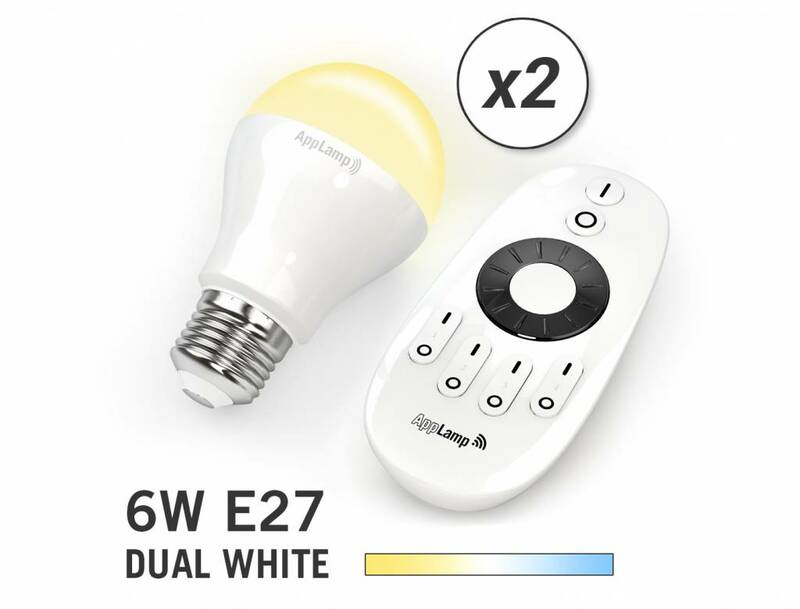 Two Dual White E27 socket LED bulbs with 5 Watt LED. 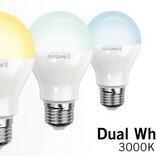 Individualy dimmable and variably adjust the color temperature from warm white to daylight. Complete set with remote control. Wifi control ready with optional wifi box. 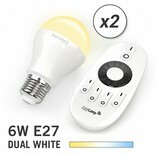 Nicely priced dimmable E27 LED bulbs with variable color temperature. Create your own atmosphere and mood, from cosy warm white for the evening to bright daylight. 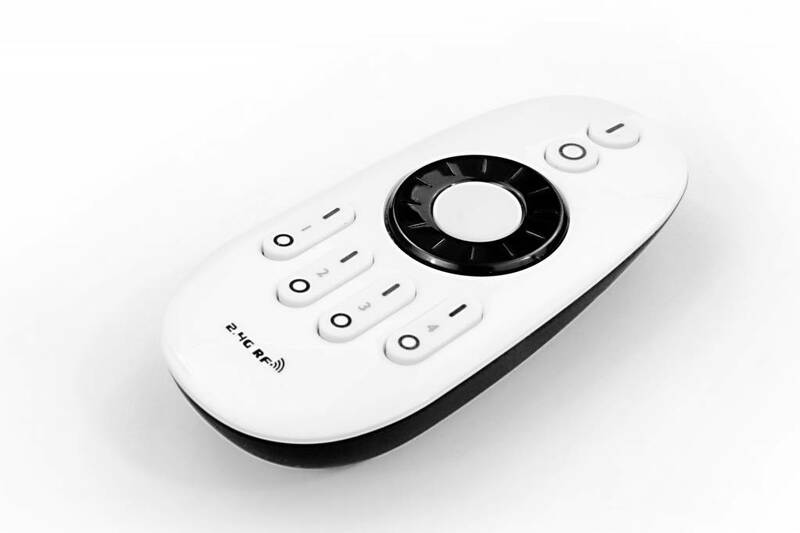 The LED lights can be assigned to four individually controllable groups with the included 4-zone remote control. In short, the ideal tungsten light replacement bulb with a standard E27 socket and unprecedented ease of use. These highly efficient LED lamps consume less than 5 watts and yet give the light of a normal 40 watt bulb. 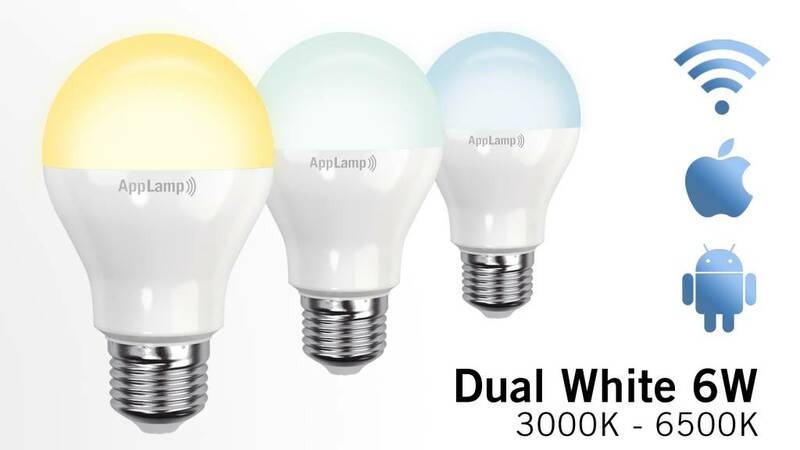 You save 80% energy and the Wifi LED bulbs also have a long life span of up to 50,000 hours! You can also control these smart LED bulbs with an App on your smartphone or tablet via WiFi. You'll then only need the optional Wifi Box App. 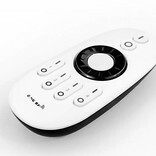 This set contains two 6Watt Dual White LED lights with remote control.